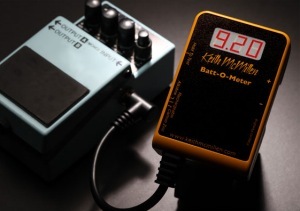 This is the Batt-O-Meter from Keith McMillen Instruments. It’s a battery tester with an interesting twist. It has a lead with a jack plug attached (they call it the ‘Power Probe’). 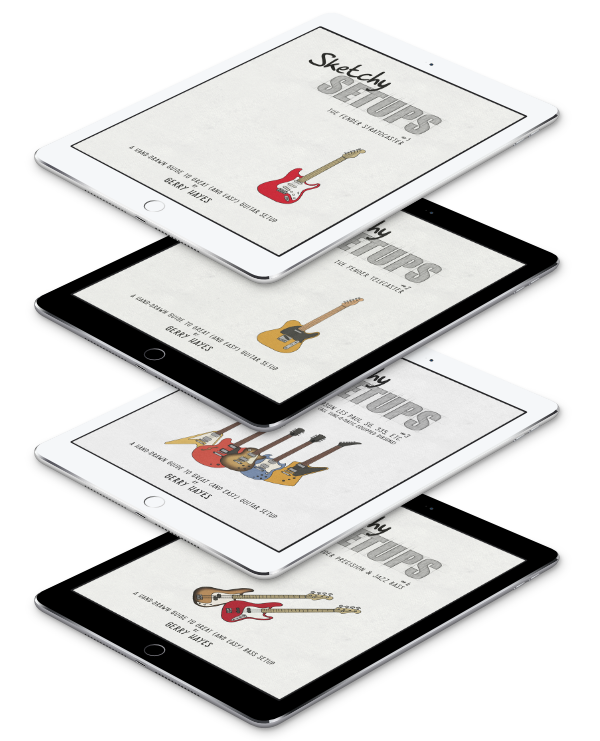 You just plug this into the input on your effects pedals and the Batt-O-Meter can report on the effect’s battery voltage and remaining life – even estimating how many hours of shredding you have left. It also comes with a switch to more accurately measure between different battery types (alkaline, zinc-carbon and rechargeable). All told, it’s a relatively clever idea. It is a pain to have a battery die on you at an inconvenient time and even the easy-access allowed by the Boss-type pedals doesn’t encourage frequent battery checks. The Batt-O-Meter requires a 9-volt battery itself (which, in a nicely ironic move, isn’t included). There’s no mention of testing this battery – I’m guessing it must have a self-test function. I’d certainly hope so – for some reason, it has a gold-plated jack on it’s ‘Power Probe’ so surely it has a self-test. You can pick up a Batt-O-Meter online for around the $30 mark. Check out Keith McMillen for more information.